Your online store is more than just a sales channel. 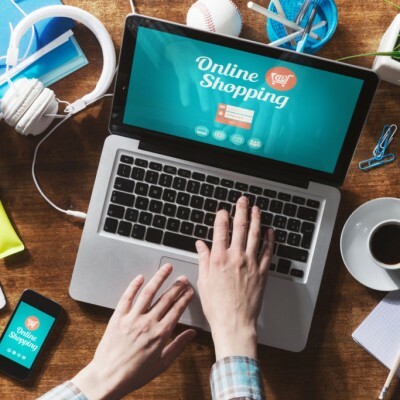 When implemented properly, it allows your company to personalize marketing, establish a stronger brand and build customer loyalty by improving the shopping experience. At Debello we work with your staff to understand your business needs and expand your current web presence, replatform your existing solution or design a customized online store in line with your business goals. Let us turn your digital sales channels into an agile retail solution, one that continues to perform as your business grows. As your ecommerce implementation partner, we help you convert visitors to customers! Design, customize and expand an online store with our tested approach to improving ecommerce performance. Enhance your marketing and sales initiatives to improve customer engagement and the quality of customer responses. Optimize channels for individual customers, languages and locations as you expand into new markets and geographies. Seamlessly integrate your solution with mobile and in-store commerce, CRM, customer service and other business-critical applications. Deploy a flexible, connected solution that delivers on customer expectations as it grows with your business. Identify revenue opportunities and take on new challenges as your technology adapts to your changing needs. With extended experience in a wide range of ecommerce solutions, our team will help you launch bold international, omnichannel and commerce optimization projects. As a long-term trusted partner, Debello can take care of your entire ecommerce ecosystem, helping you choose, implement and customize the right solutions in different ecommerce related areas—CRM, CMS, mobile solutions and private clouds.